Offshore banking is the ideal way to protect your savings and investments while providing diversification and safety. Learn what offshore bank accounts are all about! Offshore banking is a subject shrouded in mystery. Offshore bank accounts are present in many popular movies and books and evoke images of vaults filled with gold bars, safety deposit boxes stuffed with multiple passports and accounts only known by a number and not traceable to any person. But what is the reality? There are many misconceptions about the true nature of offshore banking. 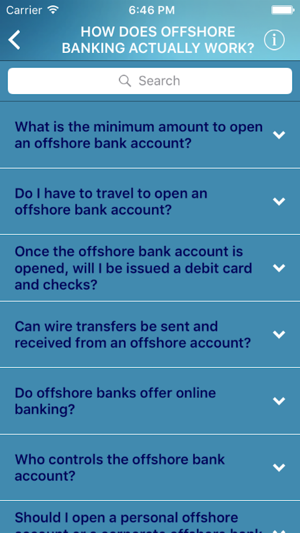 This App will set the record straight and answer many of the most common questions about the offshore industry such as: What is offshore banking and how does it actually work? What are the benefits of having an offshore bank account? Do you have to be a multimillionaire to benefit from having offshore bank accounts and investments? What’s the minimum amount needed to open an offshore account? Is it best to open an offshore account in your personal name or to use an offshore company or trust to open an account? Is offshore banking safe and legal? 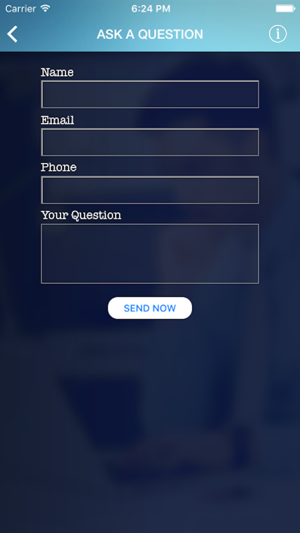 This App will answer these questions and more. Get ready to pull back the veil on one of the most mysterious and misunderstood industries on the planet! This App will give you an excellent overview of what offshore banking is REALLY all about. 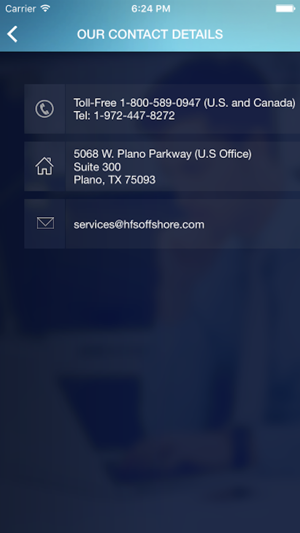 We hope you enjoy our offshore banking App. After you have read through the App, if you want to know more contact us and we will be happy to explain offshore banking in even greater detail. Love this thing. Not even sure what brought me to look this up in the app store but I am glad that I did—actually, it was my general search for offshore banking info via Safari. This thing literally answers all of your questions on offshore banking. I love the info that it provides. Also have to say that for being a first edition, I am surprised by how sleek the app is and even more surprised by how functional it is. There are several apps that have been out for awhile that still crash or have annoying bugs when opening or trying to use—none of that here. 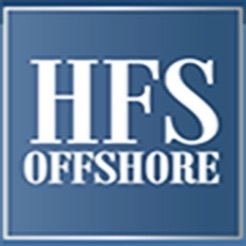 Great resource for those who have questions on the offshore banking subject. 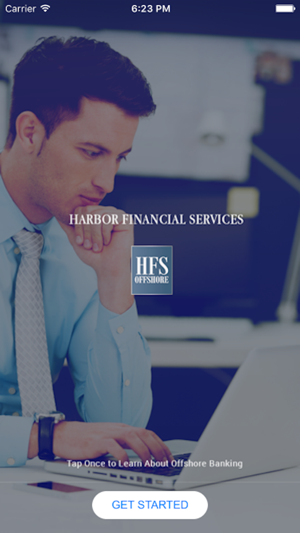 Great work Harbor Financial Services! I like how everything is explained. I’m not an expert in this field. I’ve done some investments, but recently I’ve become really interested in the offshore industry. I’ve found this app while browsing around Google and so far I’m extremely satisfied from how the information is presented. I love the questions and answers section. Very educational and easy to understand. Highly recommended! I have some savings and looking to invest. 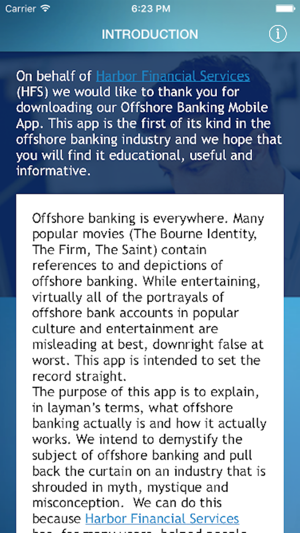 I've been interested in offshore banking, and I found this app while browsing the App Store. I’m glad that I found it as it is a great offshore banking app with a great amount of useful info. I've contacted them via e-mail and really considering of using their services.